Please be advised that all guests including children staying at Madinat Jumeirah are required to present original valid identification upon check-in, which may be either a passport or National ID. Children are charged supplement for the half board rates. 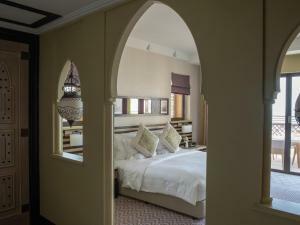 This room is decorated in an elegant Arabian style and offers a private balcony with views of the Arabian Gulf. It has a private bathroom with a rain shower, bathrobes, and slippers. 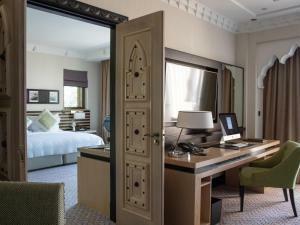 The room includes free Wi-Fi and wired internet as well as entrance to the Wild Wadi Water Park. 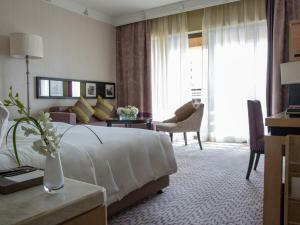 This spacious suite includes a separate bedroom with dressing area, and a lounge and dining area. 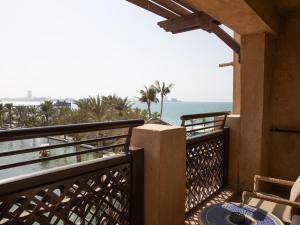 It features a private balcony overlooking the Arabian Gulf. 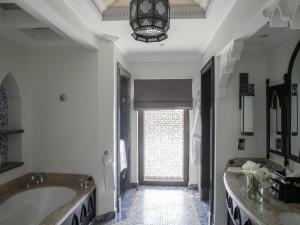 It also has a private marble bathroom with a rain shower, bathrobes, and slippers. 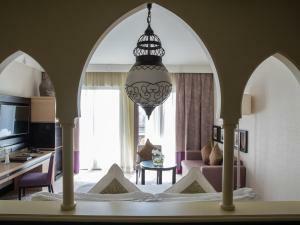 The suite includes free Wi-Fi and wired internet as well as entrance to the Wild Wadi Water Park. 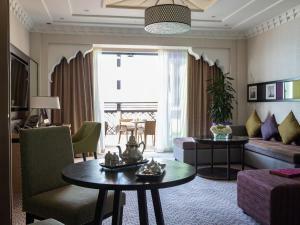 This room is decorated in an elegant Arabian style and has a balcony with views of the Arabian Gulf. It has a private bathroom with a rain shower, bathrobes, and slippers. 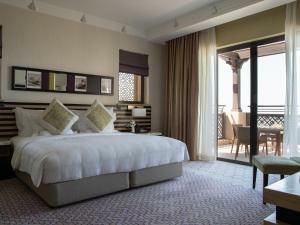 The room includes free Wi-Fi and wired internet as well as entrance to the Wild Wadi Water Park. 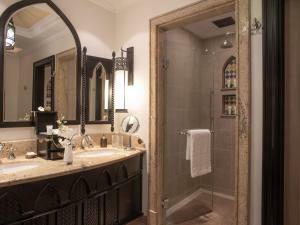 Executive rooms include upgraded toiletries and access to the private lounges. 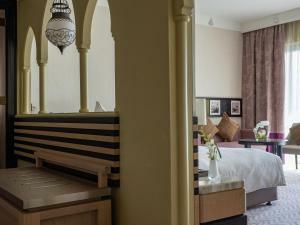 This air-conditioned room features a balcony overlooking Lagoon and Souk. It has a sofa, a flat-screen cable TV, and a minibar. The bathroom has a bathtub and comes with a bathrobe and free toiletries. The room offers access to the private lounges.